The Malaysia Fire and Rescue Department (Jabatan Bomba dan Penyelamat Malaysia) and Korea’s Seoul Fire Department are beginning operations with their AW189s and will soon be followed by the Tokyo Fire Department. Leonardo states, with these deliveries across Asia Pacific, that the AW189 super-medium helicopter is becoming a leader in the firefighting market. Leonardo continues to explain Asia Pacific is the region with the strongest growth prospects for all of its aerospace and defence capabilities. 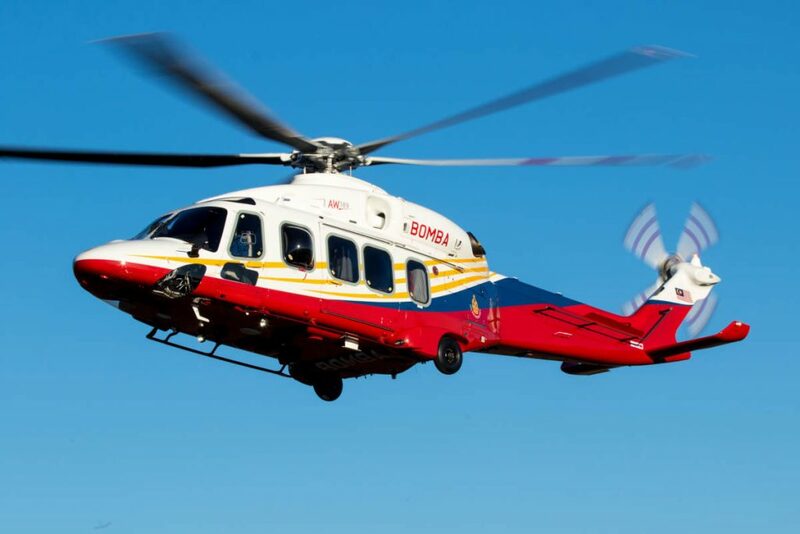 In the helicopter sector, the Italian aerospace company states public utility operations such as firefighting, search and rescue, and disaster relief capabilities are quickly growing, which Leonardo is targeting with its AW139, AW169 and AW189 helicopters. Leonardo states it was the world’s number-one civil helicopter manufacturer in terms of value in 2018 with a 40 per cent market share, a seven per cent increase over 2017. With a regional hub for Customer Support and Training near Kuala Lumpur, Leonardo has been present in the Malaysian region for many years with hundreds of helicopters performing missions such as offshore and passenger transport, utility, homeland security, law enforcement, search and rescue, emergency medical services, maritime patrol, military naval roles and armed reconnaissance. Additionally, Leonardo is providing a range of security and defence capabilities to the Malaysian government and products, such as air traffic control systems to commercial customers.